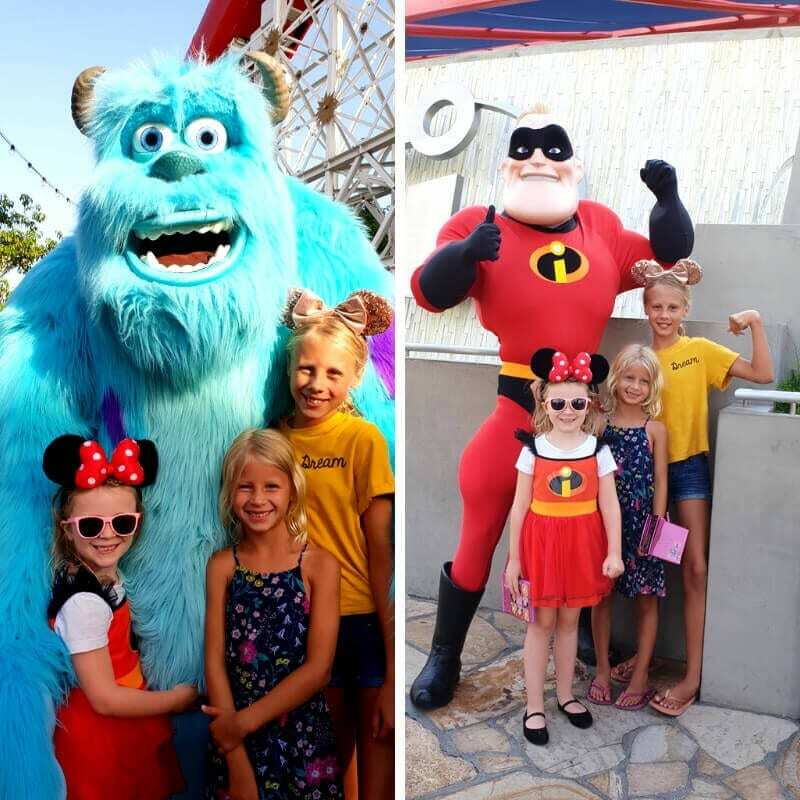 I’m back to report on our dream trip to Disneyland! 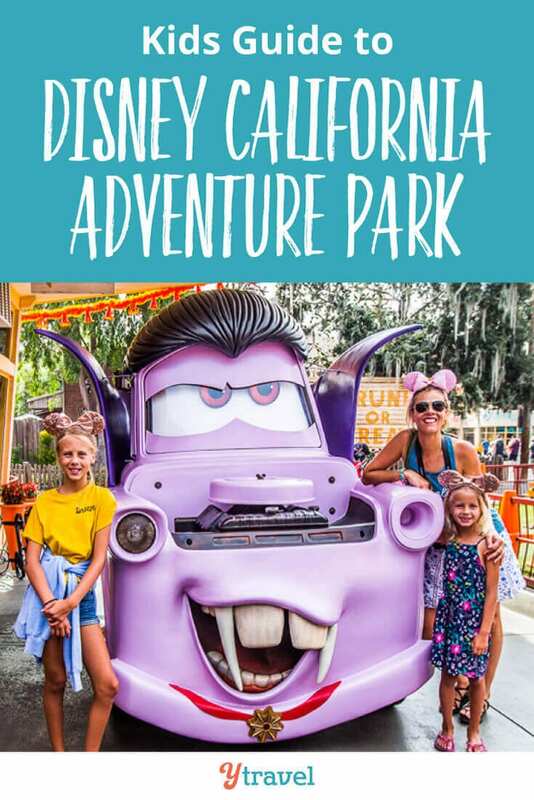 In this post, I Kalyra (aged 11) will be sharing our awesome time at Disney California Adventure Park (DCA), my favorite park at Disneyland Resort in Anaheim! 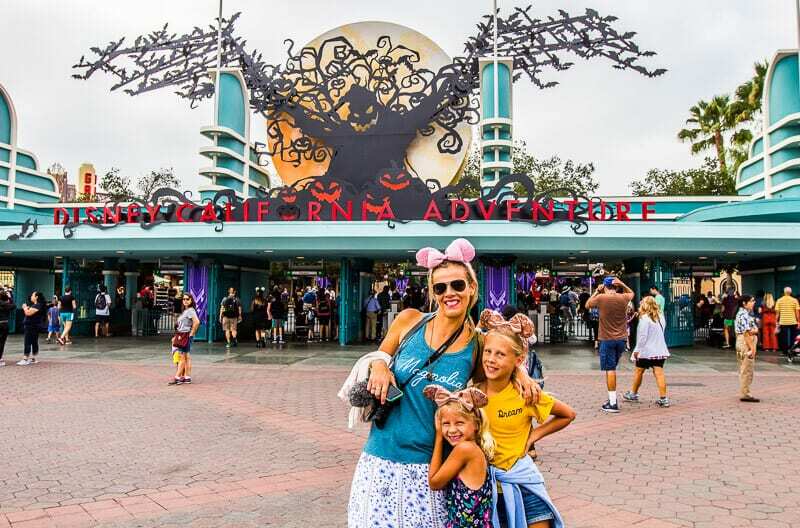 If you haven’t read my other blog post about Disneyland, go read it here. 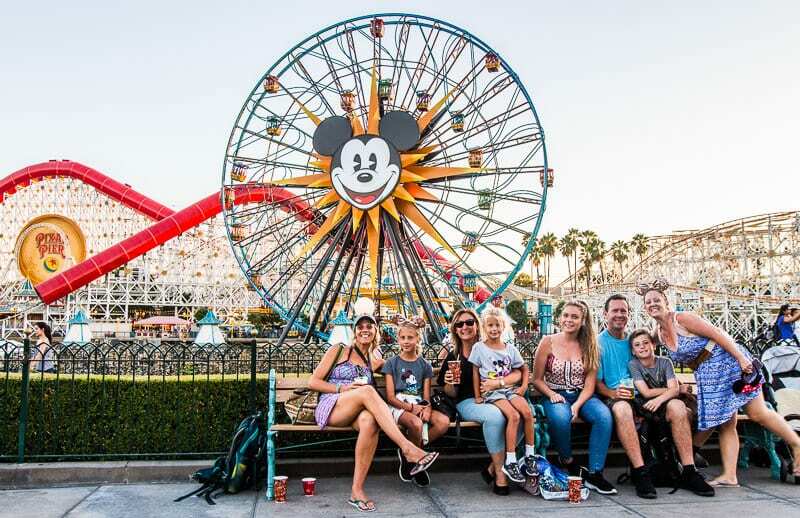 We were at Disney for two weeks with a whole crew of 15 people – that’s Dad’s family. We got the 10-day park hopper pass that only Australians and Kiwis can get, and we still didn’t get everything done! For all you wonderful people who have read my first post on Disney, I am going to talk about some of the same things. We need to be fair to the people who haven’t read my first post. (But in less detail as I said before). FASTPASSES are great at Disneyland because they are FREE with your park ticket. 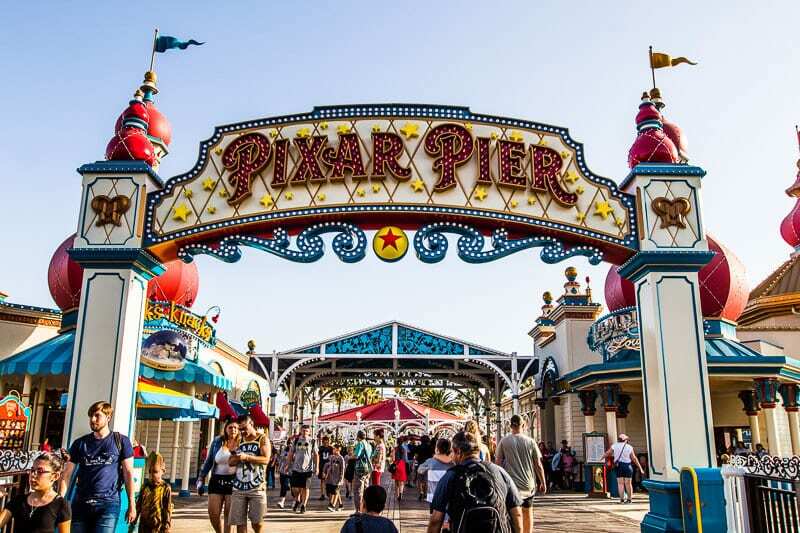 Say you wanted to get a FASTPASS for Toy Story Mania, located at Pixar Pier (which always has long lines) you would go to the area near that ride where you get the FastPASSES. You put your park ticket in the machine, and out comes the FASTPASS. It is as easy as that! The FASTPASS gives you a time to return to the ride. When you return at that time, you walk straight up to the front of the line, bypassing all those in the general line. Sometimes if the general line is only a 10-minute wait, we’d just stay on that line so as to not use up our FASTPASSES. You can only get one FASTPASS for a ride every 90-minutes. So you don’t want to waste a FASTPASS on a short line, if the next ride you want to ride has a 60-minute wait. You’d then have to wait for 60-minutes because you wasted your pass. Or come back in 90-minutes to get your FASTPASS and run the risk they’d be all gone. Because FASTPASS do run out at popular rides! Yep. There is only a certain number of people that can go on rides all day. So they limit the FASTPASS and when they’ve all been allocated, you’re forced to wait on the general queue, which on the popular rides can be 1 to 2 hours long. So be careful with how you use the Disney FASTPASS. You’ll want to be strategic with them. Just a heads up, you don’t actually need the FASTPASS ticket to get on the ride. It’s only there for telling you the time it’s for, and what time you can get your next FASTPASS. Your FASTPASS permission is connected to your park ticket. Just scan your park ticket and you’re good to go! You can send a runner from your group with everyone’s park tickets to reserve the FASTPASS for a particular ride. However, all parties must be present in the park that day! If they have not checked into the park through the entrance gates, their park tickets won’t work to get the FASTPASS! 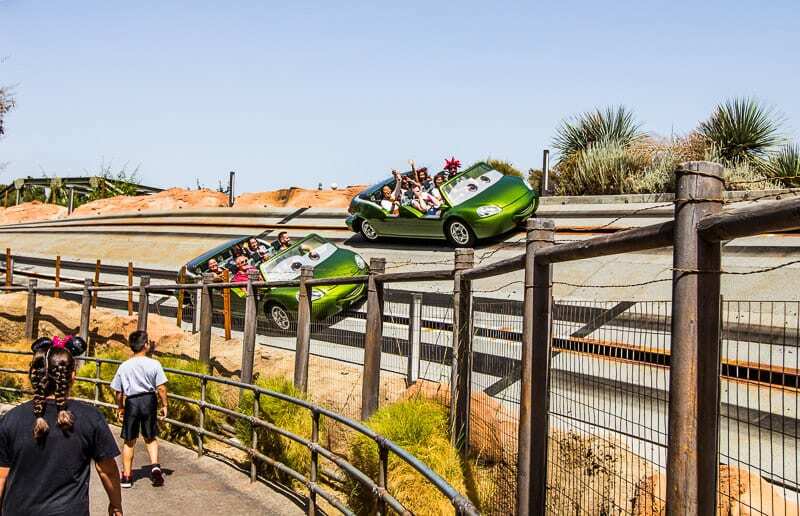 The best way to experience Disney California Adventure Park and Disneyland is to get a Disney Park Hopper Ticket. You can buy a ticket for a certain number of days, and the ticket allows you to hop between both parks. We recommend at least a 4 day park hopper ticket. 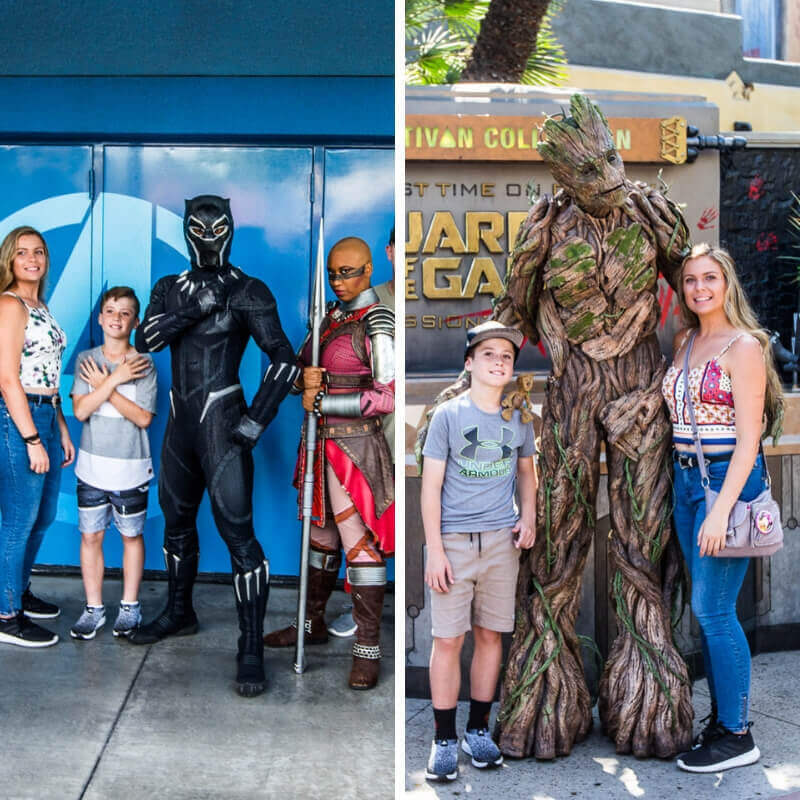 Two days at each park will ensure you’ll get to experience all the highlights on your list without madly rushing around. You will need this time even though you can get FASTPASSES, especially if you visit during a busy time of year. We visited in September, just after summer break, which meant fewer crowds then normal. Grab your park hopper tickets here. We saw one parade in Disney California Adventure Park (the park has different parades throughout the year). Paint the Night was my favorite parade we saw. 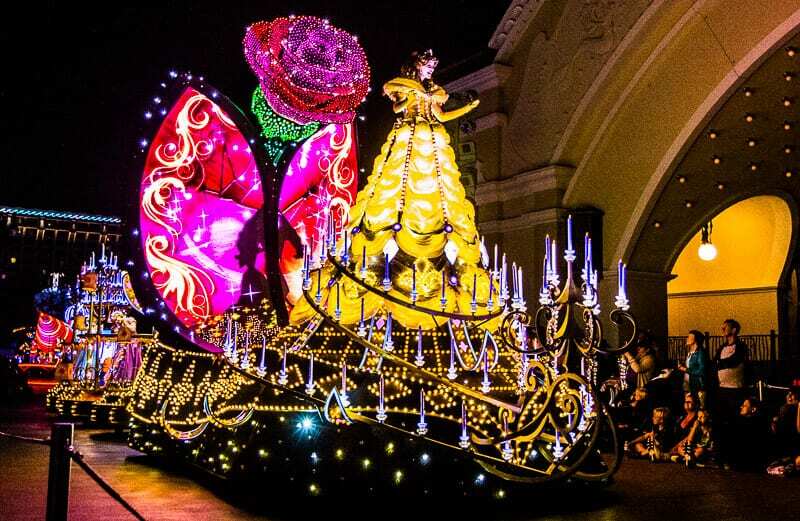 This nighttime parade is amazing, and VERY popular. I would recommend at least getting seats half an hour before the show starts, especially if you want the front row. The best thing about this show is that everything is lit up. 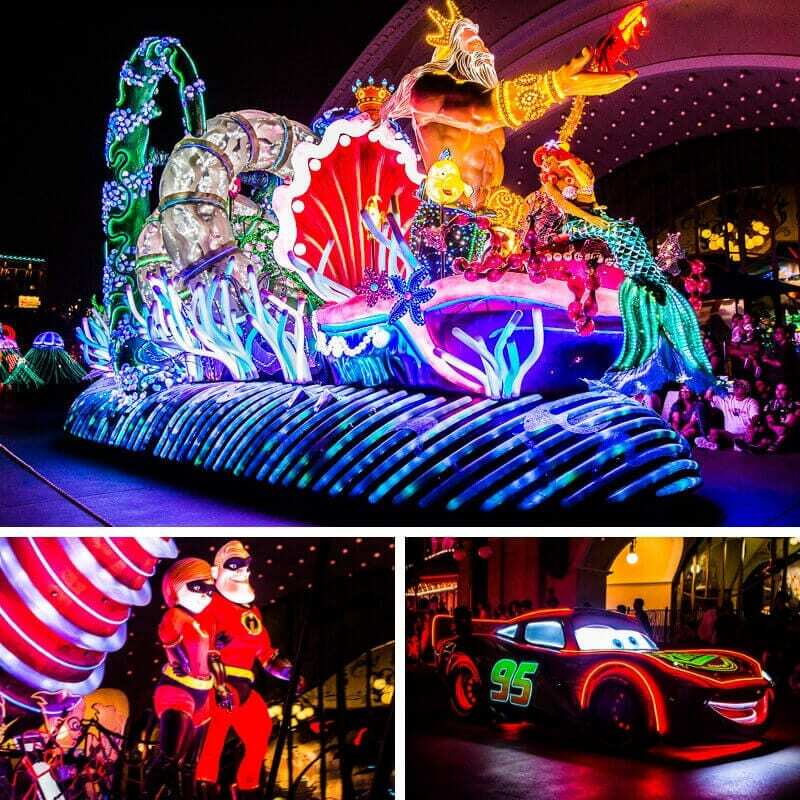 It’s mesmerizing watching all the bright and colorful floats go past. This parade has lots of floats, and dancers. It’s about 20 minutes long. I would recommend the later show, (10:45) because there will be less people, but if you have younger kids or don’t want to stay out late, then do the 8:45 show. 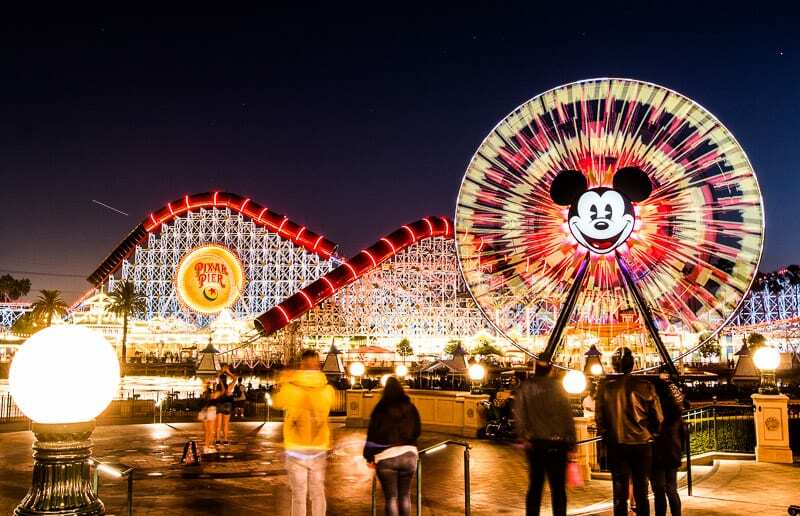 And get a seat where you’re looking out over the Pixar Pier, it’s pretty with the ferris wheel in the background all lit up and Mickey’s beaming face on the Incredicoaster. 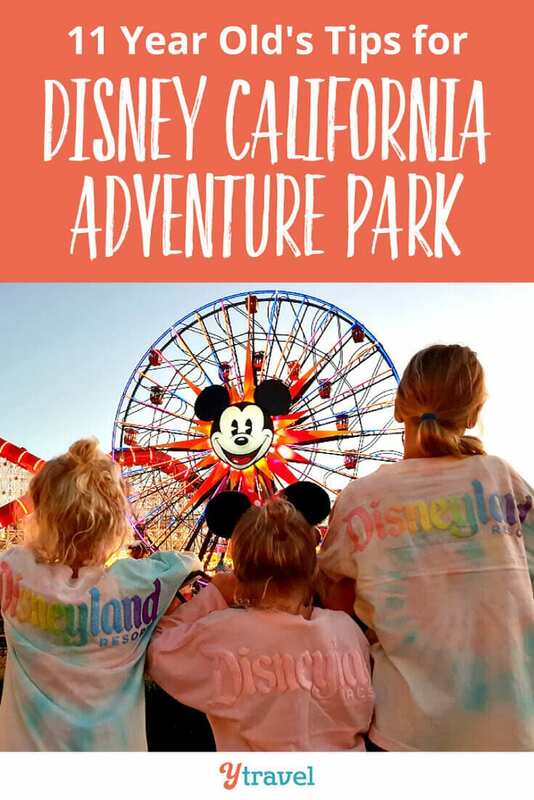 Like my previous post on Disneyland, I am going to be writing about those Disney California Adventure lands in more depth. Pixar Pier has to be my number one fave land in Disney California Adventure. 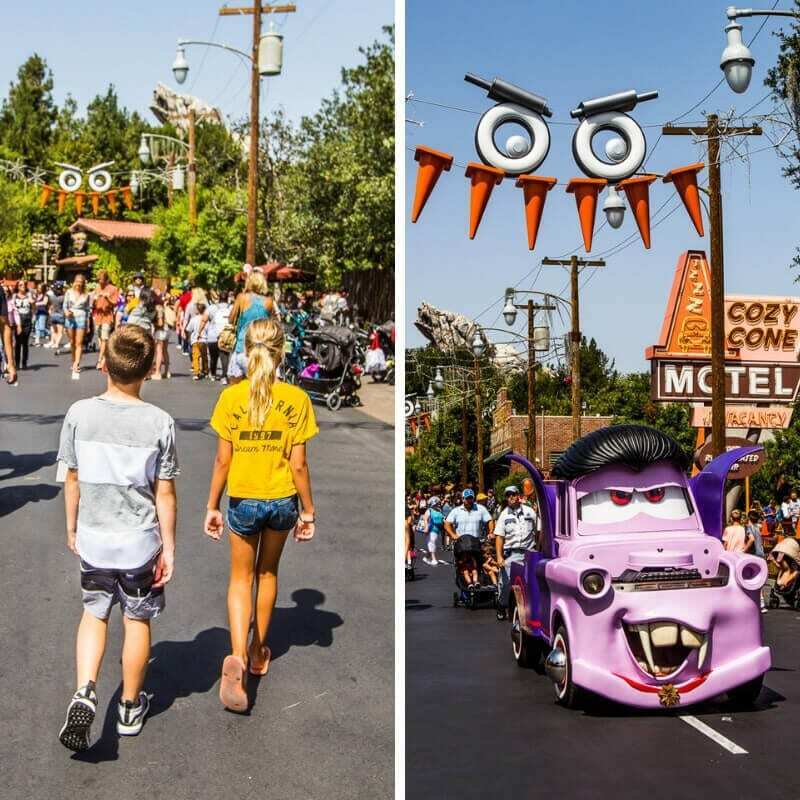 This land is themed around Pixar films, like the Incredibles, Toy Story, and more. But is also themed around a California Coastal Boardwalk. It has a fun beachy vibe to it. It used to be Paradise Pier, but closed in 2018 for all the Pixar! If you want to learn more about the creation of Pixar Pier, be sure to visit the Blue Sky Cellar. It offers a fascinating insight into what went into the design and making of it. 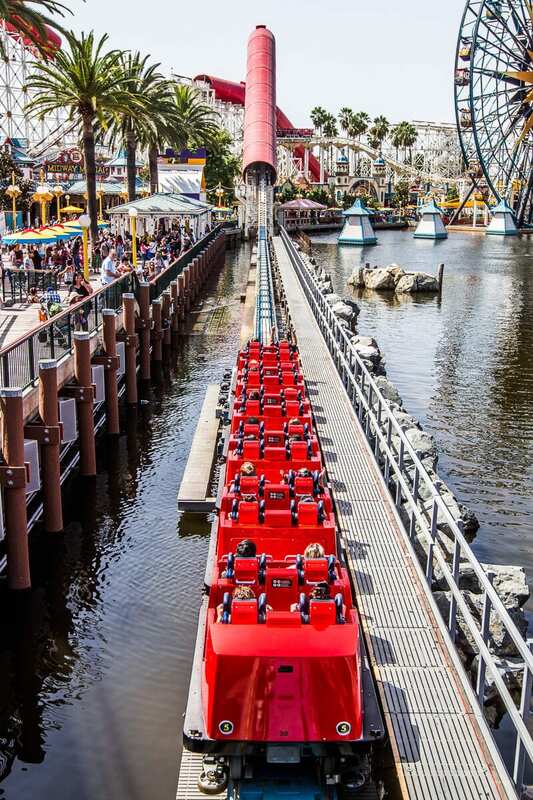 The Incredicoaster is my favorite ride in the park. It is a roller coaster that shoots off at the start and goes really fast around the track and has one loop. It plays the Incredibles theme song which makes it more intense, and it’s a long ride too. It’s super fun, and once I got lucky and got to sit at the front! 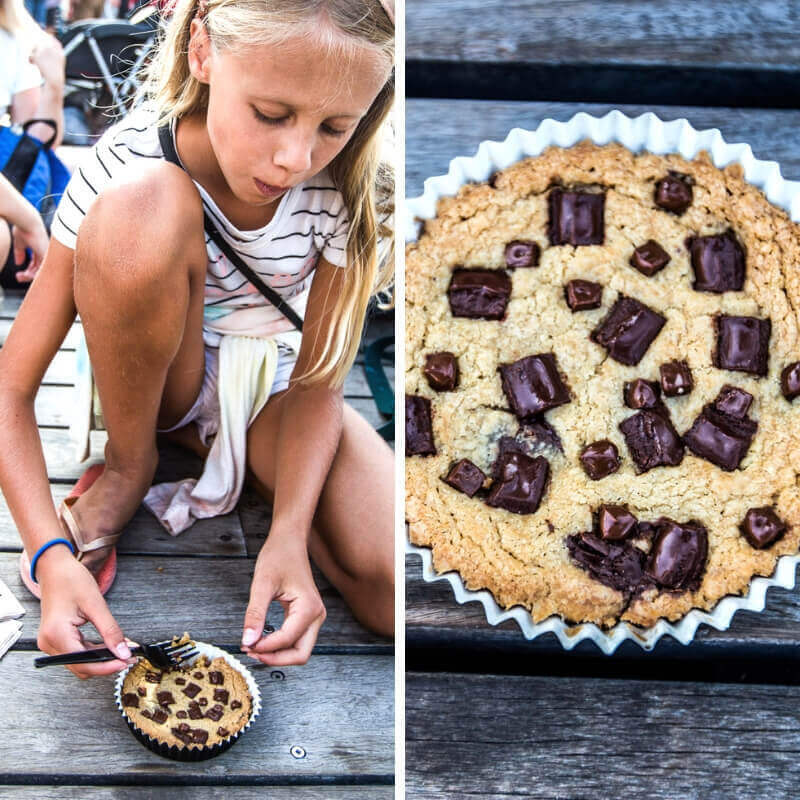 When you get off the ride, make sure to get a Jack Jack Num Num cookie near the entrance! They are delicious, but probably not nutritious! That’s what Mum says anyway. Toy Story Mania ride is like Buzz Lightyear: Astro Blasters at Tomorrowland, in Disneyland. Except it has all the Toy Story characters, and it’s more fun (It’s a 4D ride too). So you go around in a spinning car and shoot things, collecting points along the way. I got the most points out of everyone, 100,000! 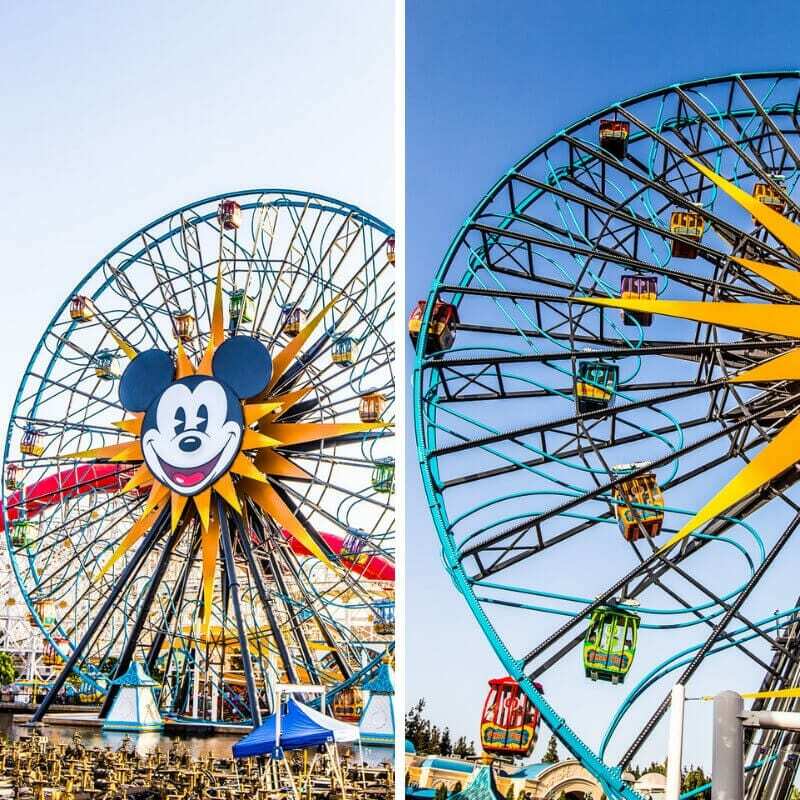 Pixar Pal-A-Round (also called Mickey’s Fun Wheel) is the giant ferris wheel that is one of the focal design points of Pixar Pier. I didn’t do this because I hate Ferris Wheels. You can choose different rides on it: Ride in a normal stable Gondola, or one that slides back and forth on a track. In 2019, Jessie’s Critter Carousel will be opening. The only actual ‘Dining’ in Pixar Pier is Lamplight Lounge. We didn’t eat there (though we tried) because it was always busy. (That’s a sign that it’s good! ) Make reservations for big groups or if you are going at busy times! 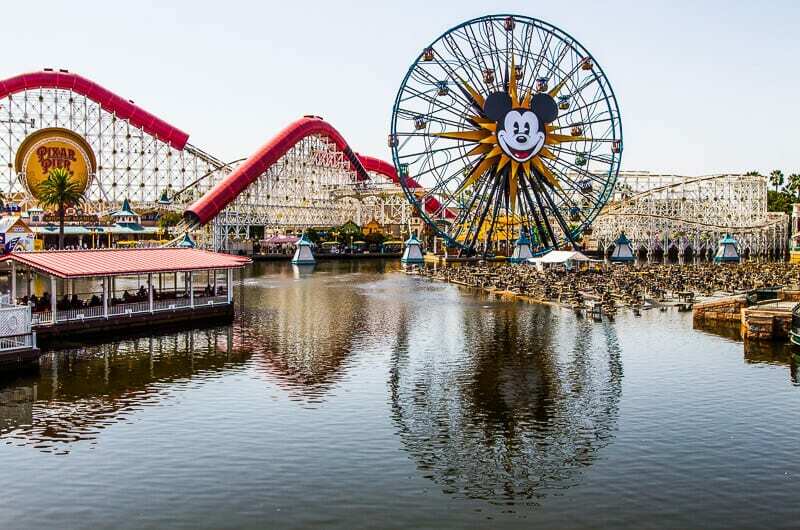 Next door to Pixar Pier, is the Paradise Pier, which has a wide variety of dining options. It’s themed as San Francisco’s Pier. 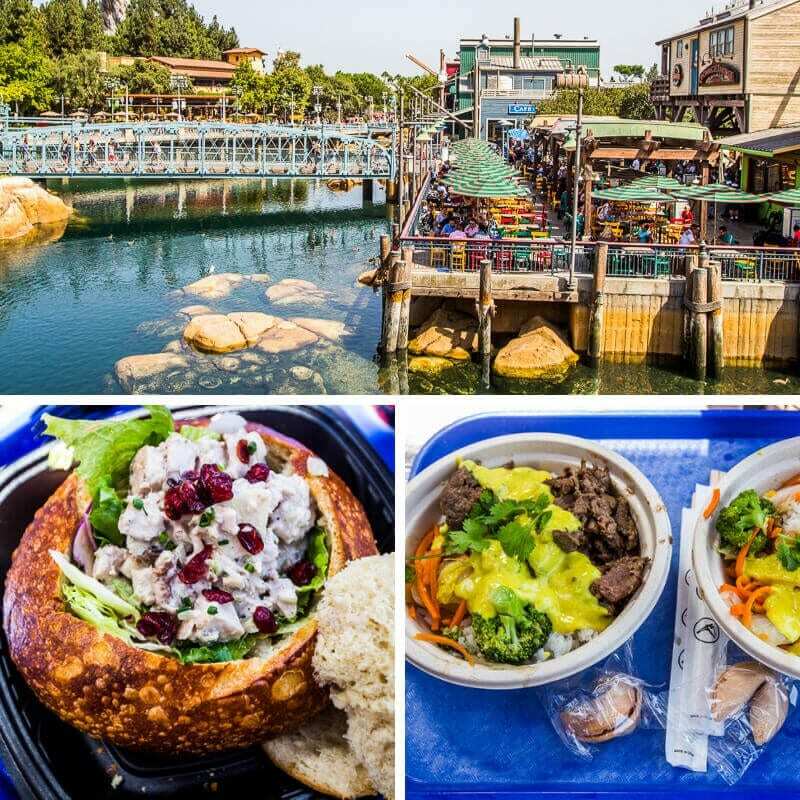 You’ll find chowder in a bread bowl, Asian, and Mexican food options. Everybody in our group loved Cars Land. All the decorations (we were there in September, so the Halloween decorations were out!) and scenery to make it look like you were in the movie, was pretty cool. 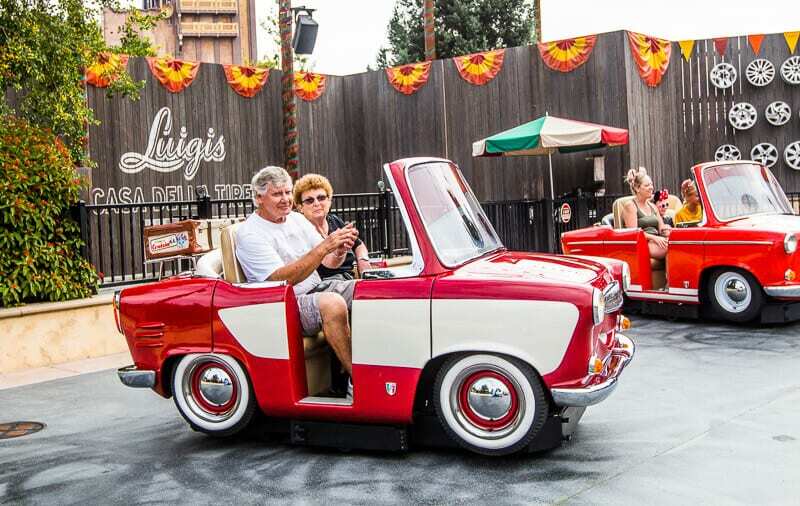 This ride is super fun – and fast! Try to beat the other racers to the end of Route 66. I recommend a FASTPASS for this ride, especially if you are there at busy times. 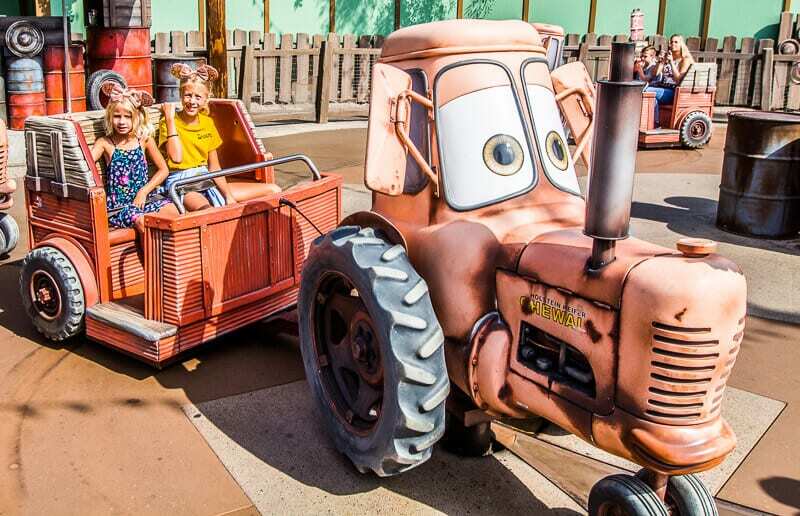 This ride is one of the most popular! This is a younger kid ride, but all ages can do it! As soon as you enter DCA go straight here to get your FASTPASS as they go very quickly and you may miss out. Sit in a baby tractor, while getting thrown all over the place. Ride in cars that spin and “Dance” autonomously in patterns, with trackless GPS technology. The younger kids loved this ride. Again, all ages can ride too and was fun for all our family! 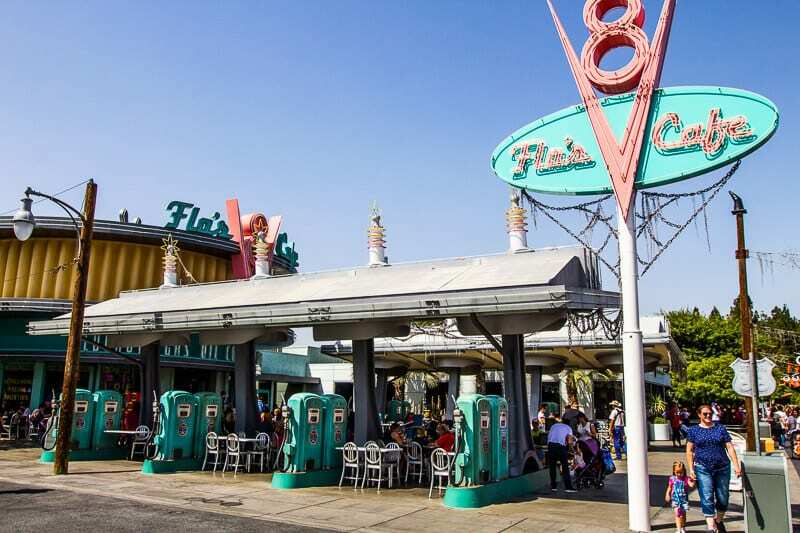 We ate at Flo’s V8 Cafe almost every day we were at DCA. It was quick and easy, (thanks to the Disneyland app) and everyone liked it. And there were gluten free options for Mum and Dad, which is never easy for them in a theme park like Disneyland. But there are other options, like Cozy Cone Motel and Fillmore’s Taste – In. We only ate at Cozy Cone Motel for Ice Cream, so we don’t really know what it’s like. 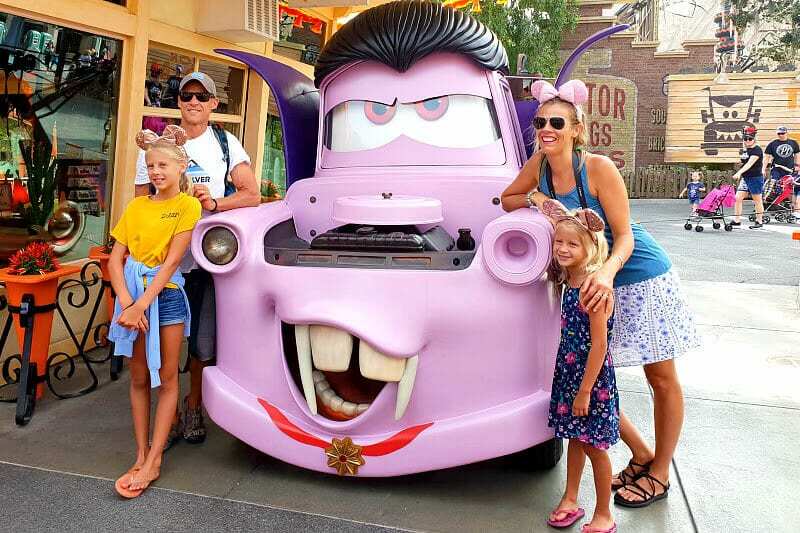 Don’t miss some of the Cars characters driving around too! 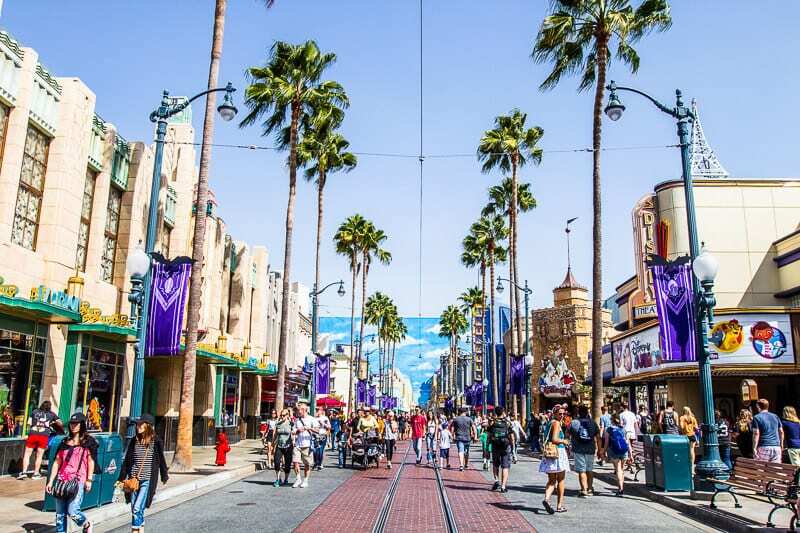 Hollywood Land is Themed after California’s (and Disney’s) Television and Cinema. This ride is so fun, and terrifying! Surprisingly, Savannah did it, and loved it! 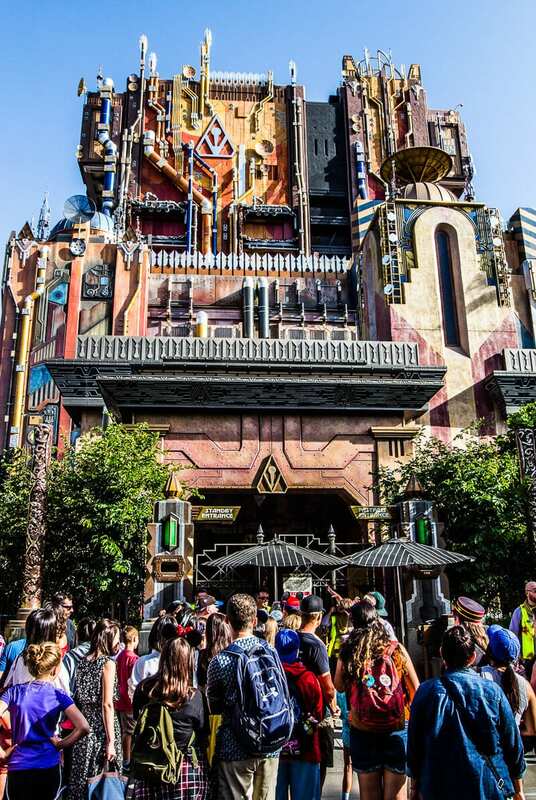 This ride is exactly like Tower of Terror, but re-themed. I definitely recommend it, and not just once! As soon as we were about to get on the ride, it broke down! And we couldn’t wait because Savannah and our cousin, Brooklyn wanted to do the Disney Junior Dance Party. Savannah and our cousin Brooklyn loved the Disney Junior Dance Party. They saw it twice, and dragged me along the second time. Savannah’s favorite part was dancing with all the characters. I recommend it for younger kids! Don’t miss Turtle Talk with Crush, inside the Disney Animation building! The younger kids loved it, and it was pretty funny. 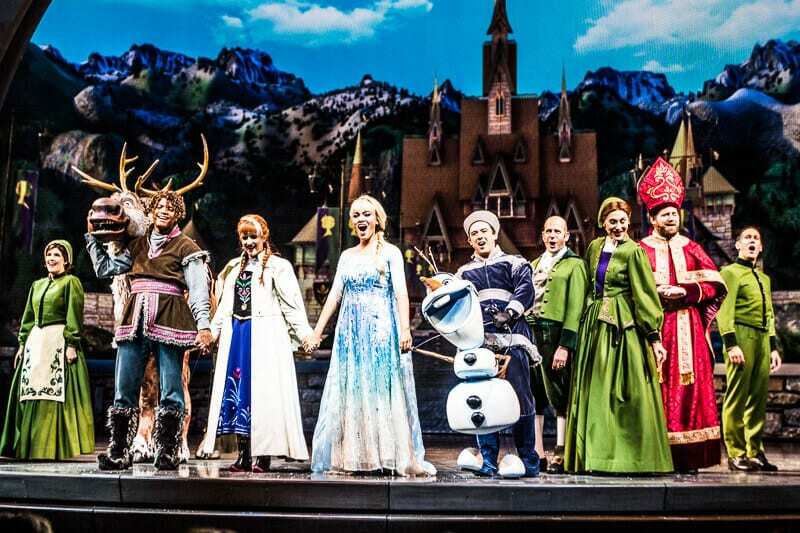 We saw Disney’s show: Frozen – Live at the Hyperion. Everyone thought it was amazing but I didn’t really like it, lol. We also met Anna and Elsa at the Disney Animation Building. (I didn’t really like that part). You can also go to the Sorcerer’s Workshop, and try to find the Beast’s hidden Library. Keep an eye out for some of your favorite characters in Disney California Adventure Park. We met Mr. Incredible, (Incredibles) Sully, (Monsters Inc) Buzz Lightyear (Toy Story), Black Panther, Groot and so much more! When Magic Morning hours are on at Disneyland, go to DCA. And when DCA is doing Magic Morning hours, go to the other park. Do the more popular rides first. Like Guardians of the Galaxy, Radiator Springs Racers, and Toy Story Midway Mania. Wear the right clothes and shoes. Get the DisneyLand app to get meals faster, find rides and characters, and more. You can see wait times for rides on the app and where your favorite characters are located. Mum’s favorite thing on the app was ordering your meals through it. This saved lining up and waiting for ages. Your meals generally were ready within five minutes. However, on our last evening (Fri) the park was so busy that the wait time to order through the app was over an hour and so was the actual line. So we left the park to eat elsewhere. 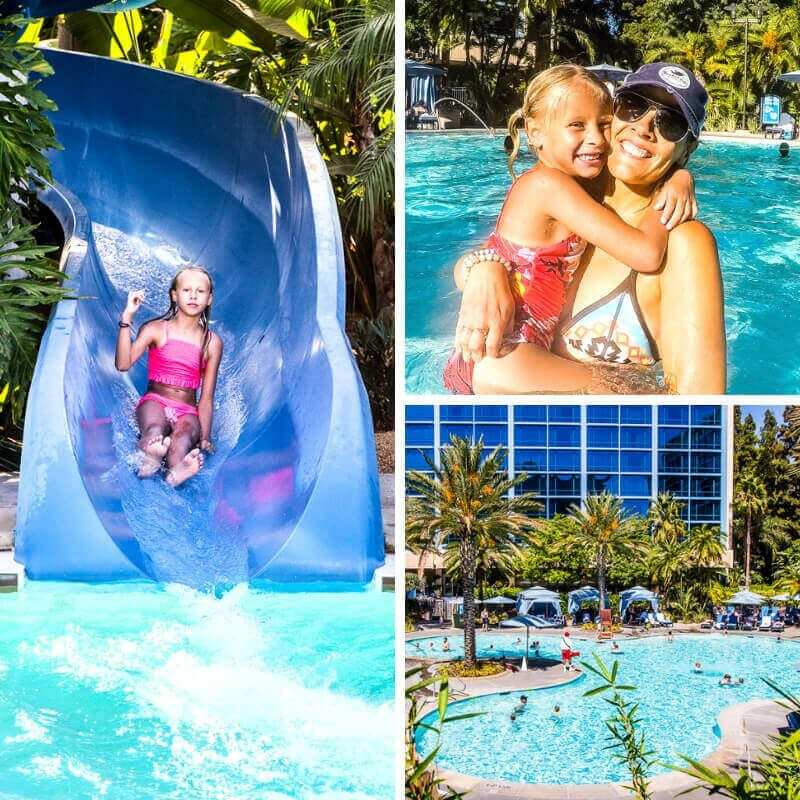 We stayed at the Disneyland® Hotel for one night as guests of the hotel. We spent the day hanging out at the pool, and going on all the water slides. Which was pretty fun. Except for one part when a kid peed in the main pool. Yummy. not. The coolest thing about our hotel room was that on a wall on top of the beds was the Castle, and if you flick a switch, the lights come on and music plays. That part was cool. It was also fun to see characters in the lobby, out the front of the hotel, and around the pool area. 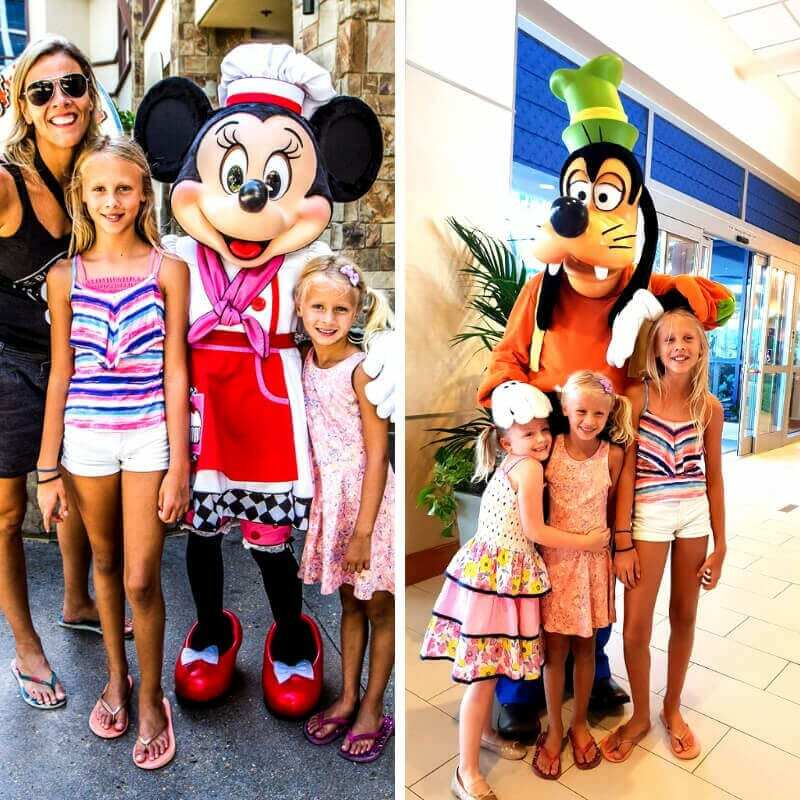 We danced with Goofy out the front of the hotel, and playing with kids around the pool. We also walked around the lobby with chip and dale, and met Minnie at her kitchen. 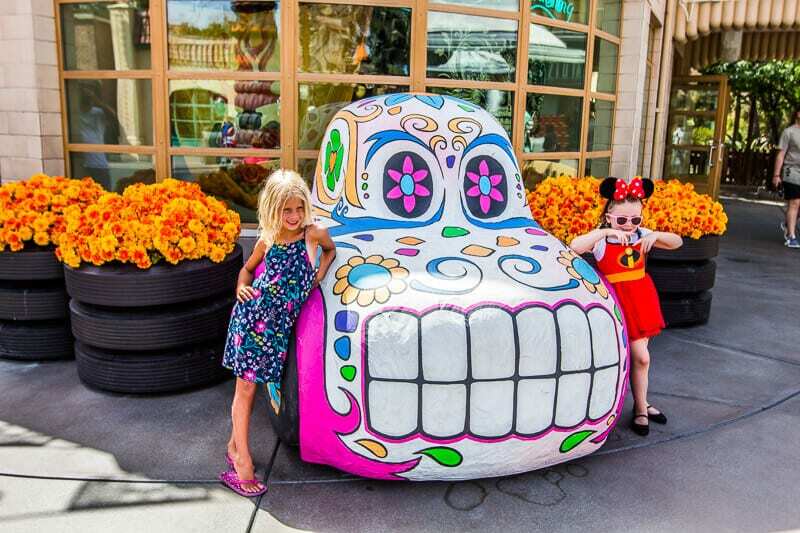 Staying at a Disneyland Resort Hotel can be a very expensive way to experience Disneyland. 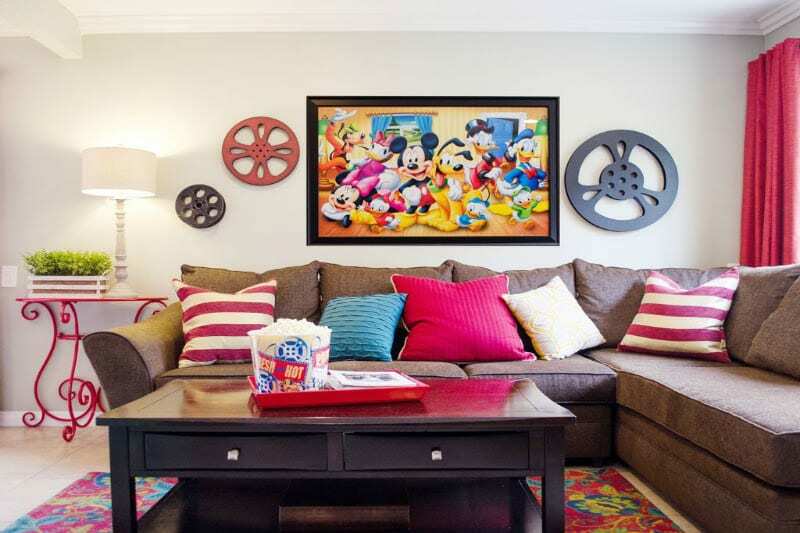 To reduce your Disneyland costs, consider staying at another hotel near Disneyland. 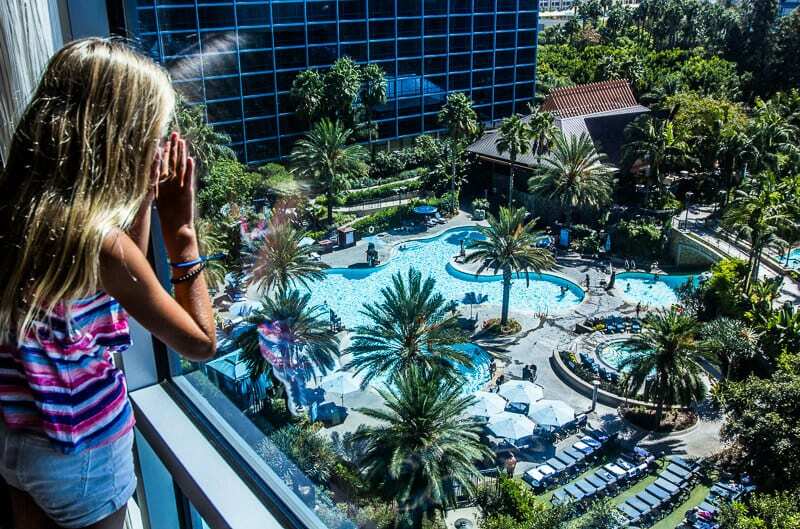 Here are 15 of the best hotels near Disneyland. You can find hotels within walking, or shuttle bus distance. We also recommend renting a Disneyland vacation home. We rented one that slept 9 people and was only a 10 minute walk from Downtown Disney. It was awesome and the best way to experience Disneyland with comfort, space and a cheaper price. Press play below and discover the Disneyland magic! 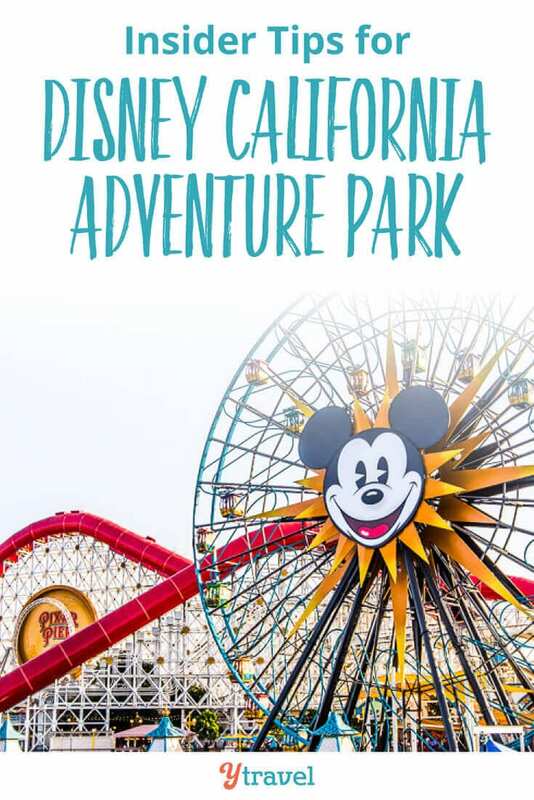 Have you been to Disney California Adventure Park? 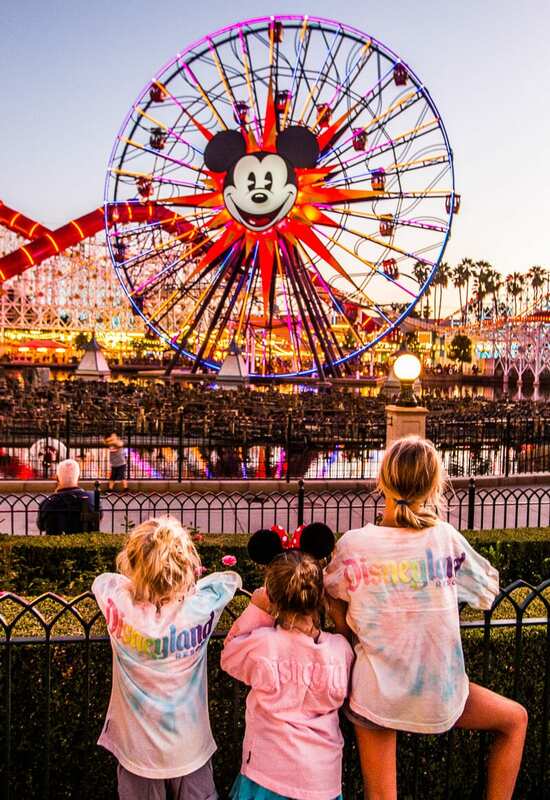 What’s your favorite thing to do there and did you like it better than Disneyland?